This beautiful jewelry for your mother on her special day. 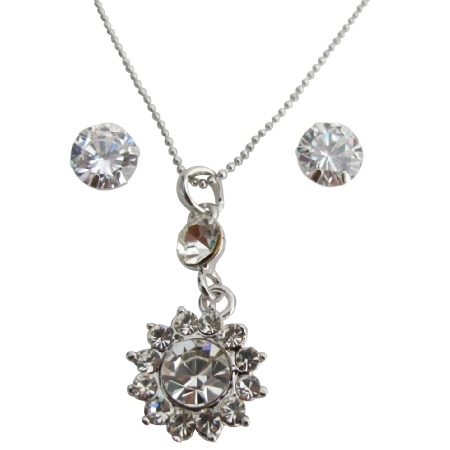 Sunflower Crystal pendant with matching stud earrings stunningly with your favorite outfits. Perfect for special occasions bridesmaid gift or beautiful jewelry for yourself.